Ben Estus (Communication ’13). Estus joined the ensemble of “Book of Mormon” just a year after he graduated and has been performing with the cast for more than four years. 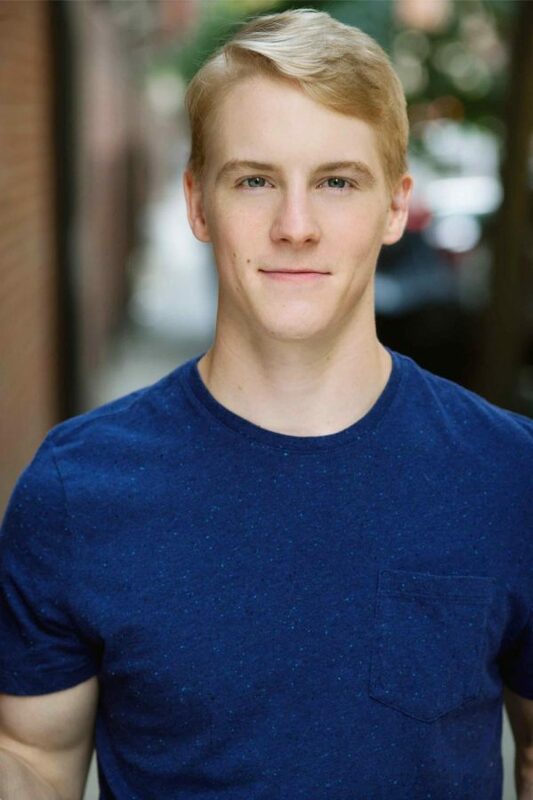 Ben Estus (Communication ’13) is living his “spooky mormon hell dream” performing alongside the Broadway cast of “The Book of Mormon.” Estus joined the ensemble just a year after he graduated, to perform the hilariously irreverent material. After four years of playing a friendly Mormon and cracking up New York audiences, Estus tells The Daily about his experience with the show. The Daily: Before you ended up on Broadway, you did theater at Northwestern. What was your fondest memory from back then? Estus: I look back very fondly on all my Waa-Mus; I was part of Waa-Mu all four years. It’s such a unique experience to have as a student because you write the show and see it performed with a full orchestra and whole cast. The production is really incredible. The Daily: How did you land your role in Book of Mormon? Estus: When they were casting one of the national tours, they came (to Chicago) and saw a bunch of us from Northwestern, so that was my first experience auditioning with them. After my senior showcase in New York, they called me in again. It was about a year later that I started going in for more specific callbacks for the track I ended up getting. My first performance was the beginning of June 2014. The Daily: What’s it like performing in the same show for four years straight? Estus: It’s definitely wild. At Northwestern you rehearse for four months and then do a show for two weekends, maybe just one. This, I rehearsed for two weeks and I’ve done over 1,500 shows. I feel really lucky to be in a show as good as this one is. It’s always fun and always funny — audiences love it. It makes it really fun to come to work and it’s a really great environment. It’s the kind of show that you have no choice but to leave smiling every night because it’s so fun to do. The Daily: What do you do to keep your experience fresh every night? Estus: It’s the same kind of stuff that I learned in school, just trying to live in the moment and be present. The cast changes so much, and standbys and understudies go on which makes it feel like a different show. After four years, there are so many new choices you can make, but two years later you can forget (previous choices) and rediscover things. There are still parts that always get me. I saw the show two or three times before I started and just lost it every time. I hadn’t seen the show since I started in the summer, and I got to sit out in the audience and watch it, and I was still losing it. The Daily: What about this show makes the humor so timeless? Estus: (The creators of South Park and The Book of Mormon) Matt (Stone) and Trey (Parker) are just so smart. It’s the way they craft stuff. They weave things together in a way that people wouldn’t normally think about, but when it hits you it’s like a lightbulb goes off. It’s almost like making an inside joke with the audience, because it’s hinting at things that everyone knows whether or not they actually talk about it.